The Presidential Amnesty Office at the weekend unveiled Entrepreneurial Revolution for Sustainable Peace, a disarmament, demobilisation and reintegration strategy designed to empower at least 30,000 former agitators in all states of the Niger Delta. The amnesty office, equally, disclosed that it evolved the new strategy in partnership with the United Nations Institute for Training and Research (UNITAR) and the National Board for Technology Incubation (NBTI), among others. The Special Adviser to the President on Niger Delta and Coordinator of Presidential Amnesty Programme, Prof. Charles Dokubo cited the figure in a statement, saying the administration of President Muhammadu Buhari was committed to sustainable peace in the Niger Delta. The Concerned Niger Deltans for Sustainable Development (CNDSD), had staged a protest, alleging that Dokubo could not exonerate himself from the recent looting of the multi-billion naira vocational training centre in Boro, Bayelsa State. 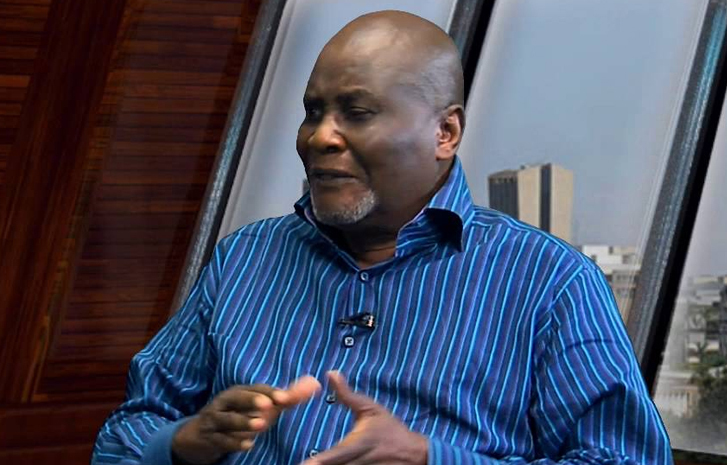 Dokubo, however, reeled achievements under one year he was appointed the Special Adviser to the President on Niger Delta to drive the Presidential Amnesty Programme (PAP) under the Buhari administration. In November 2018, the special adviser said the amnesty office initiated the Entrepreneurial Revolution for Sustainable Peace, a disarmament, demobilisation and reintegration (DDR) programme under the supervision of the United Nations. According to him, the Entrepreneurial Revolution for Sustainable Peace represents the third and final phase of the DDR programme with a plan to empower at least 30,000 former agitators in all states of the oil-rich region. Dokubo explained that the programme was designed “to get the former agitators certified in their chosen fields; establish them as employers and ensure they contribute peace and development in the Niger Delta. “We have equally entered into partnership with the National Board for Technology Incubation (NBTI) towards improving the quality and certification of agricultural and other products of Amnesty Programme beneficiaries. He, thus, warned all contractors implement the contracts in line with the terms of the agreement, saying this became imperative due to increasing reports on sale of contracts awarded to some companies in breach of contract agreements. According to the Amnesty Office, “It is illegal and criminal for a contractor to be awarded a job and then goes behind to sell the contract to another individual or company. As part of the terms of agreement for contracts awarded by the Presidential Amnesty Office, a contract is not transferable. It should be satisfactorily implemented. On the smear campaign, Dokubo said ambitious politicians were behind the recent protest staged in Yenegoa, Bayelsa State to allegedly undermine the Amnesty Office and dent his integrity as a public figure in the country. He described those behind the smear campaign as the enemies of the Niger Delta, warning them “to stop other ignoble acts capable of portraying the Niger Delta in bad light. They are ambitious politicians eyeing position. “The hired protesters also reportedly alleged that no action was taken by Dokubo during the period that the looting of starter pack items and vandalism of property at the training facility lasted. We wish to state emphatically that these allegations are not only nonsensical, entirely false, mischievous and wicked, but a calculated attempt to smear my hard-earned reputation. “It is on record that the invasion and looting of items at the Kaiama training facility occurred in the presence of security personnel, including the police and the military deployed in the Centre, but they were simply overwhelmed by the numerical strength of the massive invaders. “The police had promptly launched intensive investigation on the incident and have some suspects in custody. None of the suspects arrested in connection to the looting of items and ‘vandalisation’ of the facility, has linked any official of the Amnesty Office to the crime.